Since its establishment in 1975, Kong Thavorn Glassware Co., Ltd. has Represent an outstanding hand made and mouth blown glassware from Thailand. Kong Thavorn has direct the world attention to glassware industry in Thailand by directing efforts to supplying high quality hand made glassware to various countries throughout the world. As a higher flexibility manufacturer, allow Kong Thavorn to welcome all kind of unique and custom design from all over the world. 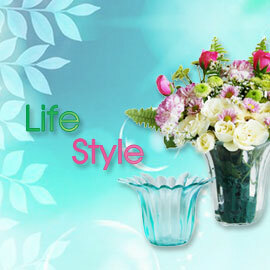 Not only that its also carry wide range of all kind of conservative and contemporary hand made glassware design. More than 30 years has gone by Kong Thavorn has made a firm mark among the other leading hand made glass maker and will continue to exert every effort to maintain the high quality of our product.